A short description about the company “Hanabee Entertainment” would help many anime and manga fans learn more about this company. 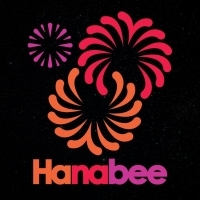 Do you know what “Hanabee Entertainment” is all about? Then feel free to add a description to our database using our entry form. We’re looking forward to your contributions! TV-Series, 11 (2015)The Perfect InsiderA-1 Pictures Inc.
TV-Series, 12 (2015)Beautiful Bones: Sakurako’s InvestigationTROYCA Inc. Bonus, 1 (2015)Fate/Stay Night: Unlimited Blade Works - Sunny Dayufotable, Inc.
TV-Series, 13 (2015)God Eaterufotable, Inc.
TV-Series, 12 (2015)Castle Town DandelionProduction IMS Co., Ltd.
TV-Series, 13 (2015)Fate/Stay Night: Unlimited Blade Works - Season 2ufotable, Inc.